FastBack Rewards - Earn discounts. Save Money. Get Free Stuff. Every Time You Swipe. Convenient access right from your mobile phone or tablet. Earn points for almost every purchase. 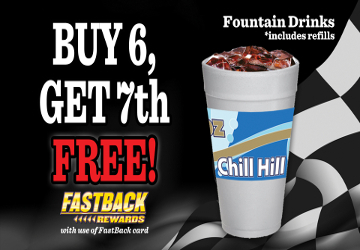 Buy 10 fountain drinks, get the 11th FREE! 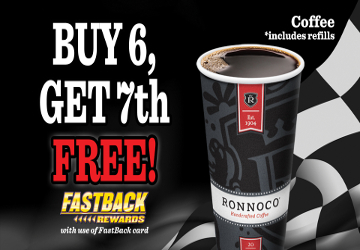 Buy 6 cups, get the 7th FREE! 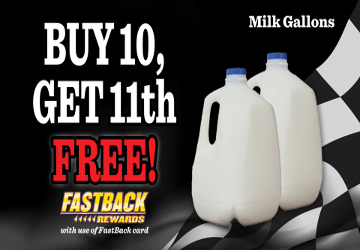 Buy 10 gallons, get the 11th FREE!